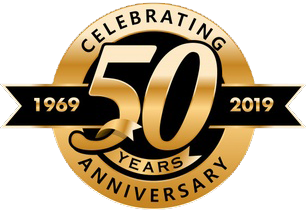 For over 50 years, we have served our customers with unparalleled service and high-quality products. To achieve this, we have established solid business relationships with only the best manufacturers, with the highest quality products and the same desire we have to ensure only the best in customer service. These partnerships are constantly monitored to ensure that we can always fulfill our customers’ needs and requirements. Dixon is a leading international manufacturer and supplier of hose fittings and accessories. Fabreeka International has been a leader in the field of shock and vibration control since 1936, providing vibration isolation and shock control solutions for industries worldwide. Green Belting, a PTFE Group Company, is a leading manufacturer of specialty-coated performance belts used in a wide range of manufacturing, packaging, maintenance and repair environments around the world. Hayward Flow Control, a division of Hayward Industries, Inc., has been manufacturing industrial thermoplastic valves and process control products for more than 50 years. Humane Manufacturing is a leading manufacturer of high quality molded recycled rubber mats and recycled rubber flooring.